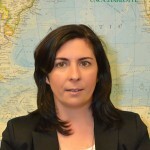 Mónica Rodríguez-Castro, Ph.d, is an Assistant Professor in the Department of Languages and Culture Studies at The University of North Carolina at Charlotte. 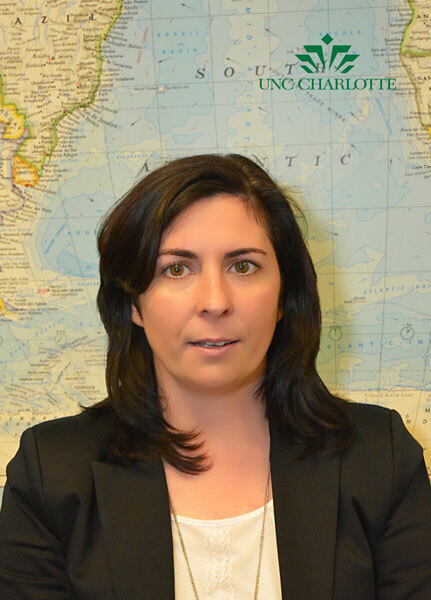 Prior to joining UNC-Charlotte, Dr. Rodríguez-Castro was an Assistant Professor at University of Louisville (KY). She teaches specialized translation practice (Scientific, Technical, Medical, Legal Translation), computer-assisted-translation tools and project management. She has also taught courses on language for specific purposes, Hispanic linguistics as well as Spanish cultural studies. Her primary research interests include empirical studies in translator satisfaction, translation pedagogy, corpus linguistics, text-based linguistics and English<>Spanish contrastive linguistics. She has been awarded an internal faculty grant at UNC-Charlotte to pursue research studies in machine translation and post-editing. She is involved in multiple community projects involving the Latino community in the US and attempts to enhance an active scholarship of engagement. She has worked as a professional translator and interpreter and is involved in creating new partnerships that aim at enhancing students’ learning experiences. She has been elected assistant administrator for the Educators Division at the American Translators Association. In 2012, she was awarded the Victor A. Olorunsola Endowed Research Award for Young Scholars at the University of Louisville. 2015-2016, Spanish Film Club Grant, University of North Carolina at Charlotte. 2014, Faculty Research Grant, University of North Carolina at Charlotte, Co-PI. 2014, Spanish Film Club Grant, University of North Carolina at Charlotte, Co-PI. 2012, Victor A. Olorunsola Endowed Research Award for Young Scholars, University of Louisville. 2009, Center for Translation Studies (CETRA Alumni), Katholieke Universiteit Leuven, Belgium, August 27. 2004, Certified/Sworn Translator (Traductora jurada) by the Spanish Foreign Affairs Office, Madrid, Spain. 2014-present, Scholarship of Engagement: Empowering the Latino Community, Collaborating with Dr. Spencer Salas (ADVANCE mentor). 2014-present, The Effects of Technology on Spanish-English Translation Processes and Products, Collaborating with Dr. Jeff Killman (PI). 2011-present, Empirical and theoretical scholarship on Translator Satisfaction, In-house Translators vs. Freelancers; Novice vs. Expert work behavior. 2013-present, Modeling language use from corpus-based empirical studies. Currently studying ‘se’ structures in Spanish discourse. 2012-2016, Empirical studies on L2 Spanish articulatory phonetics, Collaborating with Dr. Lisa Wagner (PI), Andre Zampaulo (Co-PI). 2014-present, Elected Assistant Administrator, Educators Division, American Translators Association. 2014-present, faculty mentor, student internships, school, community, legal & health care settings. 2014-present, faculty advisor, department liaison for engagement in the Hispanic and Latino community. 2014, Committee Member, CLAS Research Advisory Committee. 2014-present, serving in MA Thesis and Dissertation committees.